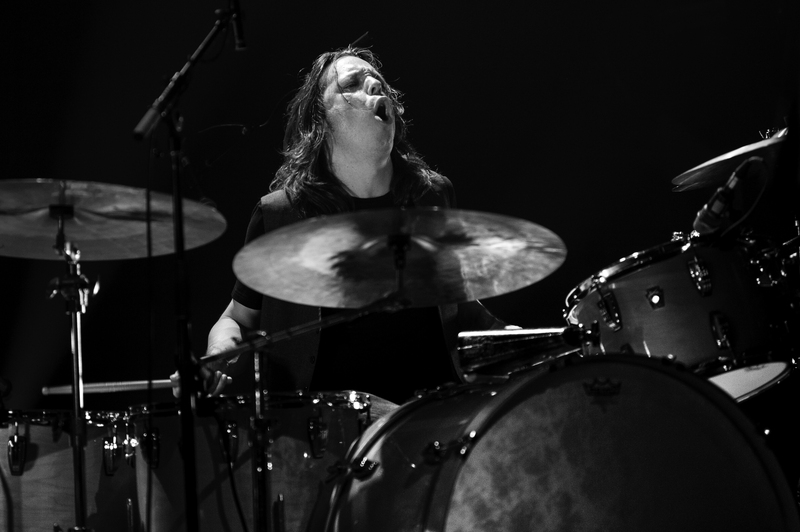 In his 26-year career, Montreal-based drummer Sam Harrisson has made a name for himself and is the first call for many producers, artists and musicians. Sam is currently touring across Canada and the USA with his power-trio blues-rock band The Paul DesLauriers Band (The PDB) promoting their second album RELENTLESS, released in June 2016 to rave reviews. In January 2016, The PDB came in second place at the International Blues Challenge in Memphis, USA. A world-wide competition that saw 119 bands competing for a spot on the podium. The PDB has also brought home four prestigious Maple Blues Awards at the 2017 gala including Drummer of the Year, Bass Player of the Year, Electric Act of the Year and Entertainer of the Year. In addition to these, Sam has been honoured with nine Quebec Lys Blues Awards for Best Musical Performance. Some significant past and present collaborations, both onstage and in-studio, include Grammy Award winner Jennifer Gasoi, multi-platinum and gold-selling artists Corneille, France D’Amour, Éric Lapointe, Mario Pelchat, Nanette Workman, Gage, and Offenbach, in addition to successful artists Steve Hill, Hubert Sumlin (Howlin’ Wolf), Dawn Tyler Watson, Angel Forrest, Steve Strongman, Cliff Stevens, Edith Butler, Coral Egan, Smokin’ Joe Kubek & Bnois King, Anik Jean, Antoine Gratton, Patrick Fiori, Christian Marc Gendron and Les Respectables. 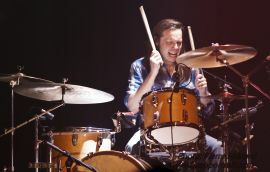 Sam has also been hired repeatedly by notable producers such as Guy Tourville (France D’Amour, Sylvain Cossette, Roch Voisine), Mark Plati (David Bowie, The Cure, Les Rita Mitsouko), Glen Robinson (Keith Richards, Tori Amos, The Ramones) and Rob Heaney (Cirque du Soleil, Kevin Parent, Jean-Pierre Ferland), to name but a few. His busy touring schedule has carried him around the world. Sam has played hundreds of stages on four continents including many historic venues such as L’Olympia de Paris, numerous Zénith throughout France, the Centre Bell, Club Soda, Spectrum and Metropolis in Montreal, the Hard Rock Café and Universal Studios in L.A., the Orpheum Theatre in Memphis, and the Moscow International Performing Arts Centre in Russia, amongst others. 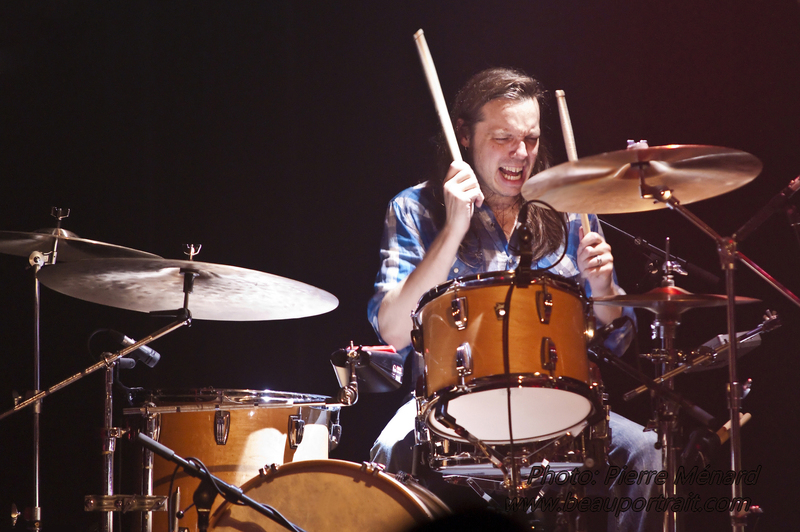 Sam has also played prominent music festivals such as the Festival de Jazz de Nice (France), Playing with Fire Festival (Omaha, NE), South by Southwest (Austin, TX), the Festival d’été de Québec and has made regular appearances at the Montreal International Jazz Festival throughout his career. He has made numerous studio and live recordings at prestigious studios such as Electric Lady Studios and Avatar Studios in New York City, Studio Méga in Paris, Planet Studios, Studio Tangerine, and Piccolo Studios in Montreal. An interview with Sam was featured in an article in the May 2006 (no.24) issue of France’s popular drumming magazine Batterie Magazine. In addition to being a seasoned live performer and a sought-after session player, Sam also excels at teaching. Since 2005, he has been the drum teacher at the Montreal International Jazz Festival’s annual TD Blues Camp, amongst other blues camps across Canada.